This is the first in a series of interviews with our partners – giving insights into what’s happening in their part of the world and in their part of the world of SharePoint. And our first interviewee is Veronique Palmer. We first met Veronique in discussions on the SharePoint Experts Group on LinkedIn, which she co-manages and moderates. 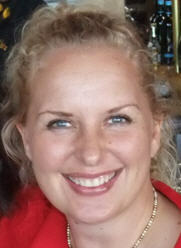 Veronique is based in Johannesburg, South Africa and is owner and founder of Lets Collaborate. So, tell us what’s good about living and working in Johannesburg? The energy! There are a lot of dynamic people here and things get done! If you’re running a business, Jo’burg is where you want to be. I work mostly in Sandton which is pretty much the financial capital of Africa, the pace is hectic and it sure ain’t for sissies. We have fantastic restaurants, lots of vibey outdoors places to sit under the African sun and relax over an extended lunch. There are also a multitude of awesome getaway spots – 6 hours and you’re on the beach, 1 hour and you’re in the bush, 3 hours and you’re in the mountains, 5 hours and you’re in the snow, 45 minutes and you’re on a dam (lake) or river. We’re also a Soccer World Cup host city which the whole country is excited about! How did you first get into SharePoint? During my interview at the last company I worked for, they asked me if I knew anything about SharePoint. I’d never even heard about it until that day, 17 November 2006. I started playing with it the day I started and was hooked from then on! I volunteered for the project, a new position was eventually created for me and I ran with it. Taught myself, attended some training, and then learnt the hard way, hands on – which in a company consisting of 43 000 users over 2 and a half years, was definitely the hard way. Certified in 2008 on Implementing MOSS 2007, busy studying for the 2010 exams. I was very lucky to have a brilliant architect to work for, Marcus Portmann, who believed in me from day one and did everything in his power to support and help me, we remain friends to this day. Looking back now, I don’t know how I worked my whole life without SharePoint; it’s like trying to remember how we did things before mobile phones. We certainly can’t live without either now. Why did you decide to start Lets Collaborate? Because I love providing great customer service, training and end user support! I take great pride in offering the best service in the world! I always provide my direct contact details and do my utmost to respond as quickly as possible should any of my clients have any questions during or after the engagement. I’ll never forget what it was like being on the other side and how frustrating it was not being able to get timely answers to any problems I had after training. Poor training and not being there for students afterwards results in users getting frustrated then hating SharePoint or following very bad practices – and the whole system collapses. Another reason I started Lets Collaborate was that there was a niche in the market for onsite, beginner level training and solutions based on configuring SharePoint out of box as opposed to custom-development. It is also far easier to support application solutions based on out of box configurations than it is to support custom-developed solutions. It seemed no vendors were interested in out of box solutions. After being invited to become a team lead on our local SharePoint user group, I hosted a business forum. All the business users were having the same problems I was regarding training, support and guidance. I always thought that if I could have had one person sit with me for just one day or even a couple of hours, it would have saved me 2 years worth of work. Once I figured it all out and realized it doesn’t take that much time to help someone, I decided to do something about it. That was 8 months ago. I’m now the only vendor (and only woman) in the country offering the services I do. A website full of tips and tricks and information for SharePoint beginners, the only one of its kind. Onsite end user training, consulting and out of box configuration – I’m a floor walker, for lack of a better description, and help out with error resolution, advise on how to best make use of the technology for the relevant business issue, attend meetings in an advisory capacity. My clients use me as a sanity check. I do present one of the Microsoft course outlines, but designed 6 of my own streams instead because I found that the curriculums in the market were disconnected from what was happening on the ground. I insist that users stagger their training in order to put the skills I teach them into practice, having 3 or 5 days back to back training doesn’t work because it’s information overload. They also can’t attend the intermediate or advanced courses without attending the preceding course. As I mentioned above, I offer ongoing support to anyone that has contracted my services and guarantee a response to any query they have. To date I am the only local vendor that does this. I brand user manuals if required, but supply LC manuals if not. My pride and joy is my Mentorship Program which is designed to create an in-house SharePoint Super Star. Skills are near impossible to find, so I train them up for you. Every bit of knowledge I have is transferred to the delegate, and I’ve seen them soar to heights I’m sure even they didn’t think possible. It can be expensive and take up to a year, but it is SO worth it. To the best of my knowledge, this is also the only course of its kind world-wide. The consulting leg of my business entails governance plans, user adoption and implementation strategies, file share analysis, site reviews and assessments, etc and then configuring out of box solutions. So far it’s a great balance between teaching and solutions delivery. Building evangelism sites is my favourite pastime. I’ve got some great projects lined with my clients for the next couple of months too. Guiding business through the adoption process to avoid the common pitfalls is sorely lacking so that is a very big focus for Lets Collaborate this year. Training Streams – Not Just Training Courses. Training SharePoint Processes – Not Just SharePoint Components. After-the-course Refresher Materials Too – Not Just Training Materials. Your Way – Not Just Our Way. A Broader Vision of Training – Not Just A Parochial View. I take my clients and what I do very very seriously, so to optimize the training service I provide I only allow 8 people per class. I’ve tried bigger groups but it just doesn’t work. My credo is quality, not quantity. I must be doing something right because all my business to date has been from word of mouth. I haven’t advertised anywhere yet apart from postings on my blog and I’m fully booked 4 – 6 weeks in advance. What is the most common problems that clients come to you with? Permissions management – hands down the biggest problem at any client I have ever been to. The Permissions course I designed was to address this, all Site Owners and Administrators are required to attend Permissions training now. 80% of all the support calls come from this area so this training has become crucial to curb this. Understanding the difference between intranet and team sites, how to set them up and manage them. Then finally, bulk uploading documents from file shares onto SharePoint without any analysis of the information. Getting to grips with the concept of metadata is not easy for our business users, (let alone content types); it’s a very hard sell. But once they see the working example and the lights go on, there’s no going back, (most of the time anyway, still a few die-hards out there). What changes are you seeing in the way client’s use SharePoint? Business users are getting smarter quicker! SharePoint used to be used primarily as a document store, but they are starting to see the power of the platform and starting to experiment with the different ways of presenting and retrieving information instead of in the traditional Word, Excel or PowerPoint documents and subfolders. It’s very exciting, they’re getting it! Which is great because this is supposed to be a business tool after all. Momentum is definitely building. If there’s one in the crowd that’s still hesitant, all I have to say is ‘learn this, and you’ll never have to wait for IT to do your stuff again’. Sold, then and there. Traditional IT has to watch out, business is catching up monumentally fast. … But then again, maybe it’s my great training that’s paying off ! I see business users wanting to take ownership of their sites now, and doing a good job of it. My clients surprise me constantly at the cool ways they come up with to use the platform – and 99% of the time all out of box without a single line of code. What is your personal favourite SharePoint feature? No question – wikis and custom lists. I use them for everything every day. Excel spreadsheets and Word docs are soooo 2008! What is your own biggest frustration with SharePoint? The lack of support and information for business users when 99.9% of SharePoint consumers are business users. … But I’m working on that, got some exciting plans for this year which I can’t reveal yet. The size of this platform and how much there is to learn, for non-techies it is extremely overwhelming and it is very hard to find a mentor willing to share their expertise and support, (again one of the reason’s I started my own company). If you could send a wish list to Microsoft, with things you would like them to add to, or fix in SharePoint, what would be the top 3 things on the list? The big button on the site that once clicked automatically downloads all SharePoint knowledge directly into your brain. On surveys and custom lists – the ability to put headings between questions / columns anywhere you’d like. Ability to put hyperlinks onto pictures in wikis as well as being able to import a picture into a wiki by browsing like you can in a Content Editor Web Part. What is the number one piece of advice that you would give to a client about to deploy SharePoint? Plan plan plan! Don’t just start creating site collections and sites without the bigger picture in mind. Your information architecture can make or break your implementation. Get help when you need it. But just as important – get Executive buy-in and a support team in place and trained first before you roll it out to business, (especially in large organisations). They will catch up to you faster than you can ever imagine. Then make sure your training and governance plans support user adoption sufficiently. Finally – communicate, weekly!! Don’t keep your business users in the dark, it will come back to bite you. How do you think SharePoint 2010 is going to impact on your business? All my clients are still on 2007 and not planning on upgrading for a couple of years, but I’m planning on slowly learning 2010 in the interim so that I can be ready when they are. Impact on my business? Right now, it’s just one more thing I need to do on top of an already packed schedule. I don’t consult and train on something I’m not comfortable with. I am acutely aware of the responsibility that comes with what I do and the potential impact it can have; I owe it to my clients to make sure I know my story before trying to guide them. We hear you may be doing quite a bit of travelling in the next few months – what 3 things can’t you leave home without? You heard right! Watch this space. I couldn’t leave home without my camera, iPhone and hand cream!